Animal Grab is a variant of Snap which involves calling animal or bird cries instead of the word Snap! making it a fast & noisy game. This Victorian edition by Thomas De La Rue contains 52 full-colour cards + rules leaflet inside a telescopic box. 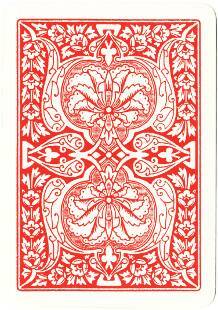 The winner is the player who wins - or grabs - all the cards. 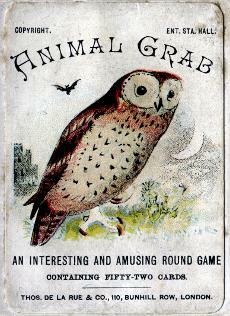 Right: box from Animal Grab card game by Thomas De La Rue & Co, London, c.1900. 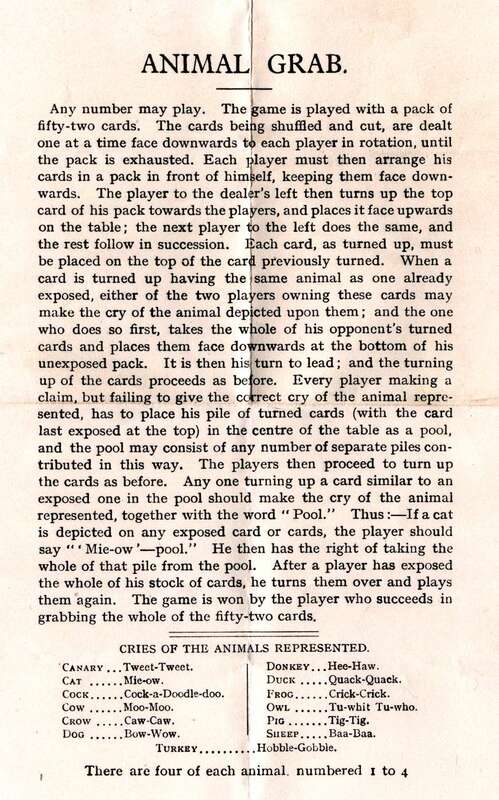 Long before our awareness of endangered species or environmental activism became topical issues, these Victorian playing cards for children foster awareness of farmyard and countryside animals, inviting players to mimic the animals' characteristic calls.